this is the second pair I have bought. absolutely love these glasses! was a long time oakley fan before age caught up to me. now I have them full time! Love the frames. First time that I used Frames Direct. The glasses are fine. The only problem that I had was that it took almost three months to get the glasses. They kept telling me that the frames were back ordered. They gave me three or four different dates before they were finally delivered. The communication was fine but just disappointed in the delivery time. I've been wearing my Oakley Crosslink 0.5 for a few weeks now and they are by far the best glasses I purchased thus far. I use it for work and play. They work very well on my runs on the weekends (currently training for a marathon). They are sleek, modern, and fit comfortably. This was my first time ordering prescription glasses online. FramesDirect made the process very easy without going to a store and feeling pressured to buy. Their customer service is exceptional! I look forward to buying my next pair through FramesDirect! These are fantastic. Great looking frames and lenses. 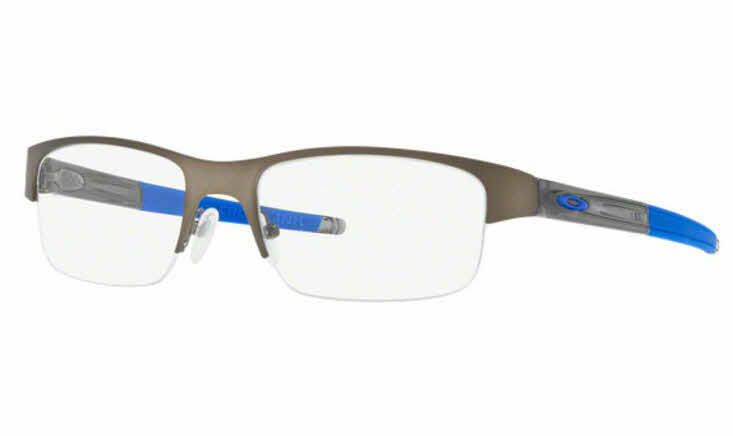 If you have worn Oakley sunglasses before and liked the fit, you'll love these sporty frames. Only complaint- the part of the frame that is above the nose is metal and one piece. If you need any sort of adjustment, it's tricky. Try them on somewhere before you buy here.